Legendary Pictures on Saturday confirmed Gareth Edwards will return as director for Godzilla 2. Was that really in doubt? After enjoying huge critical and commercial success with the first film, it was always assumed Edwards would return for the sequel, but now the news is official. Edwards has also been tapped to direct a Star Wars spin-off, which is scheduled to hit theaters on Dec. 16, 2016. On its Twitter on Saturday Legendary Pictures also unveiled what to expect in the upcoming Godzilla sequel, including the appearance of Mothra, Rodan and Ghidorah. These three monsters are among the most famous Kaiju from the Godzilla universe, so it will no doubt delight longtime fans. No word on the roll each of the three will play, or if any of them will team up with the king of monsters. 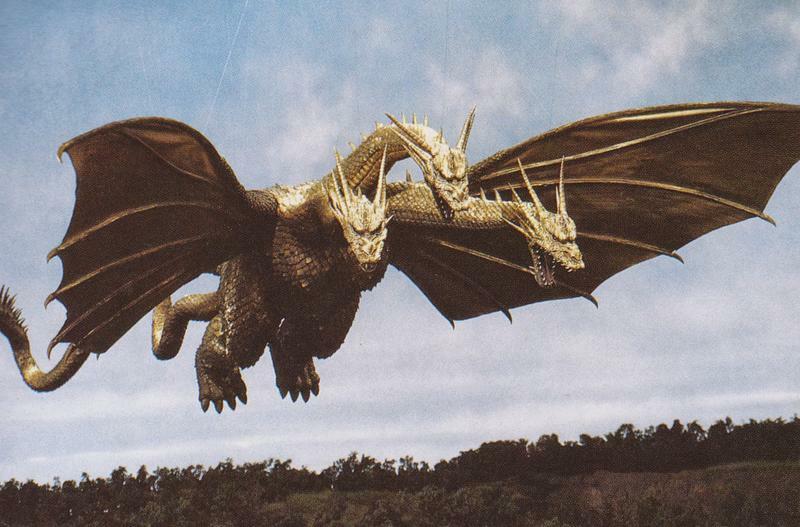 In the earliest appearance of King Ghidorah, Godzilla, Rodan and Mothra actually team up to take on the three-headed monster, so it's likely the film will follow a similar storyline. However, this early on into production, there are a lot of possibilities. No release date has been announced, and it's unclear if the original cast will return, so we'll have to see how this developers over the coming months and years. Legendary did hint Edwards was already hard at working on the Star Wars spin-off, so it's likely he'll begin work on that as soon as his commitment with Disney are wrapped up. And as a last tidbit, Legendary also Tweeted that other monsters will join Godzilla in "future franchise installments," which to us suggests we're only just beginning to see the resurrection of the rebooted Godzilla.